November is one of the most beautiful months of the year: the fallen leaves covering everything can give stunning views of forests and cities as well. Although November is a very significant month from the point of view of turning from Fall to Winter, in Japan only a few festivals are celebrated in these weeks of the year. The most popular Japanese festivals in November are organized in the areas of Kanagawa and Saga, but Tokyo is a very important festival scene as well. If you happen to be in Japan and you want to participate on a traditional celebration, this article should be useful for you. The following sections present the best Japanese festivals in November. The English name of this festival is The Feudal Lord’s Procession in Hakone and it is celebrated on the third day of November. Thousands of people celebrate this day all around Hakone-machi and Ashigara-shimo-gun, in Kanagawa Prefecture. The celebrations in Hakone take place at Yumoto Onsen, where almost 200 people, dressed up as samurai warriors and princesses march all around the town. 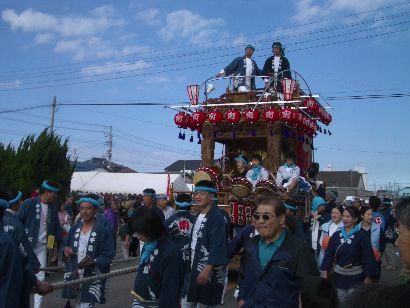 The parade departs at 10 o’clock in the morning, from Sounji Temple and in the afternoon they arrive to Yumoto Fujiya Hotel. The motto of this festival is: “Down! Down! The Lord comes!”; referring to the former rulers of the Land of the Rising Sun, the daimyo. Between the 2nd and 4th of November, the city of Karatsu is one of the most vivid towns of Kyushu. With a history of more than 400 years, Karatsu Kunchi is a real cultural heritage for Japanese people. On these two days, you can see gigantic hikiyama (floats), usually depicting samurai helmets, dragons and lions all around the city. 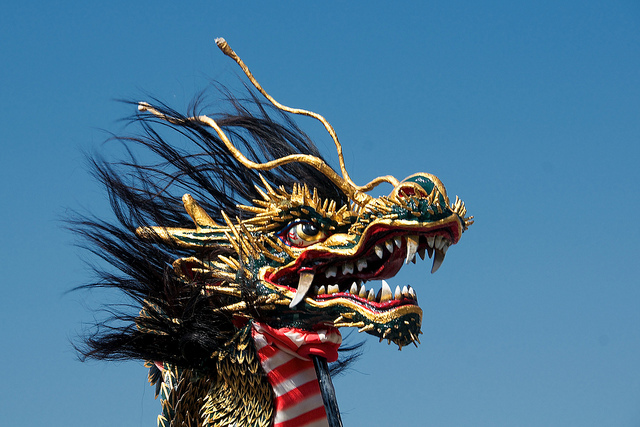 The largest floats of Karatsu Festival are almost 7 meter tall, and they weigh more than 3 tons! 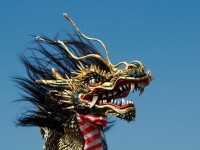 The oldest float was created in 1819 and it is still presented every year. If you want to see a traditional Japanese festival, your place is in Karatsu! There is no fix date for this festival, it changes every year. In 2013 it dates on the3rd, 15th and 27th of November. Tori is one of the twelve signs of the Oriental Zodiac (Junishi). The days of the rooster occur on every 12 days in november. 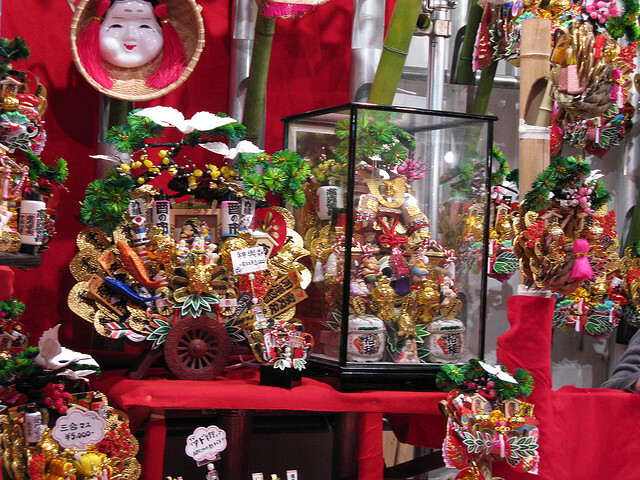 Tori-no-Ichi is a large fair, held at several Otori-Jinja Shrines. In Tokyo, Asakusa Shrine is the most significant Tori-no-Ichi celebration place, but other shrines, such as Hanazono-jinja or Kitano-jinja have to be mentioned as well. The absolute ‘stars’ of these fares are the rakes: when a rake is sold, the buyer and the seller clap their hands (this action is called tejime). Even if only a few people purchase these rakes, the majority comes to see the fair and the tejime of the others.